March 15, 2016 March 31, 2019 - The 'Noms. 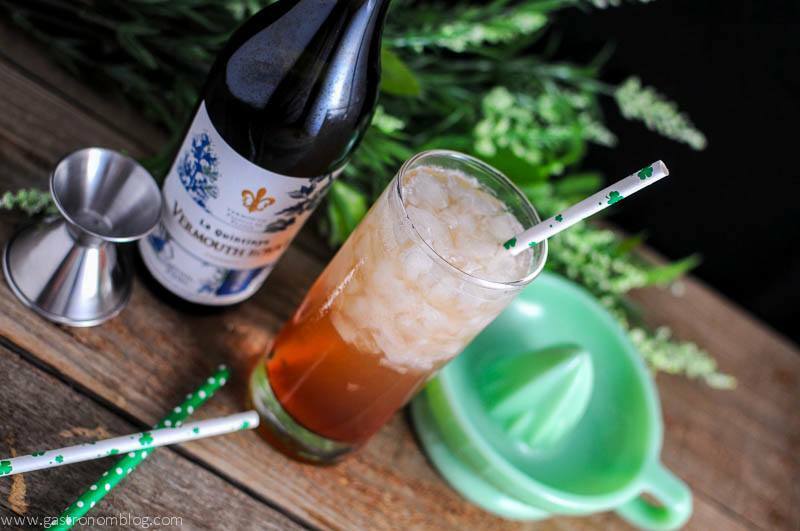 Perfect for St. Patrick’s Day, or anytime, this Irish Sour a great whiskey cocktail! When Saint Patrick’s Day rolls around everyone wants to be Irish for a day! Our Facebook feeds and Instagram accounts are filled with green clad folks and equally green drinks. 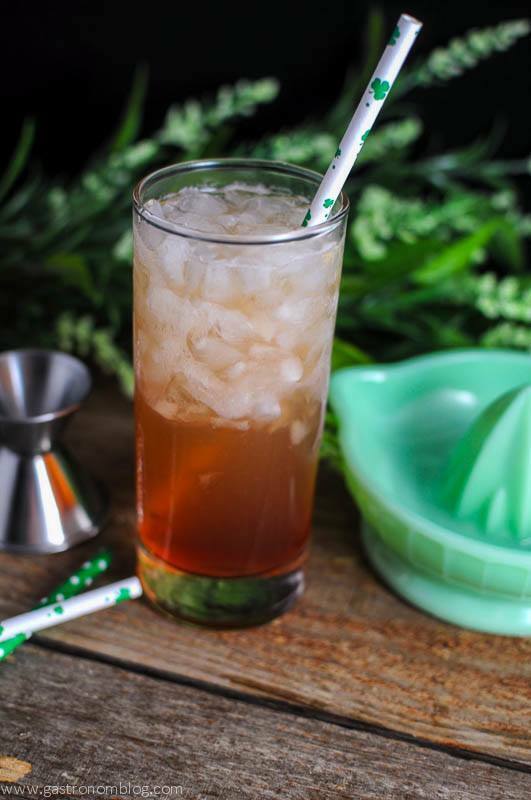 While the occasional green drink can be fun (like our Roquette,) for a lot of us we want to celebrate being Irish with something a bit different than your typical green beer! Wanting to come up with something different, we thought about a way to use some of the great Irish whiskey that we had. A good starting point was the classic whiskey drinks is the Whiskey Sour, a combination of whiskey, lemon juice and sugar that is one of the oldest cocktails around. Wanting to put an Irish twist on the cocktail, we started out with Bushmills Irish Whiskey, a supple rich whiskey that has hints of floral and citrus tang, with a warm toasted note of grain and malted barley. Distilled since 1608, Bushmills is one of the quintessential Irish whiskeys, making it the perfect way to bring Ireland to the drink. We swapped some of the typical lemon juice for some fresh squeezed grapefruit, which added a slightly bitter sourness to the drink. 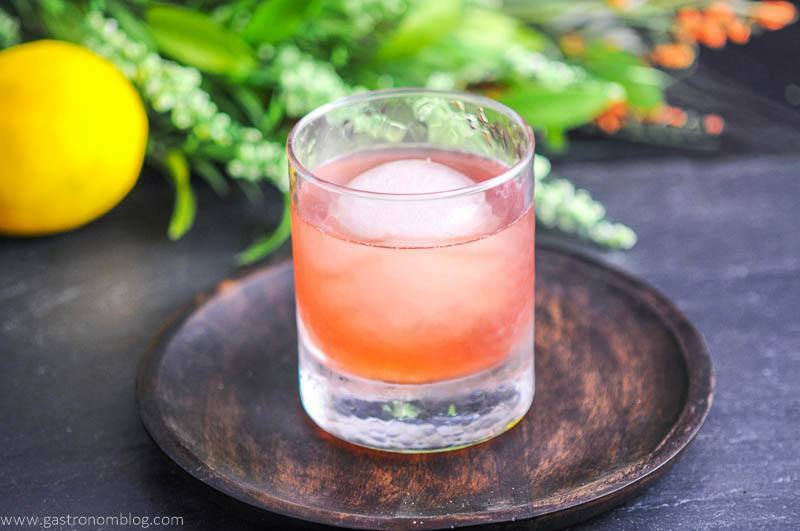 What Ingredients are Needed for the Irish Sour? Wanting a bit more depth, we added a bit of Maraschino liqueur which adds a nutty sweetness. We topped the Irish Sour with a float of grenadine to add a bit of color and flavor. 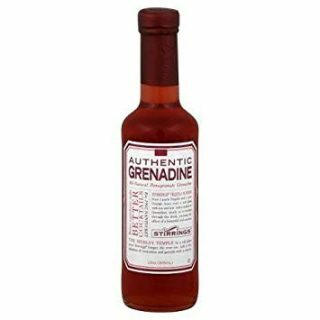 If you use real grenadine like we did that doesn’t have a high sugar content, it will sink into the drink, but if you opt for the bright red stuff, it will float on top! While our sour was well on its way, but the balance was a bit off, leaving the drink a bit one note-ish. Wanting a bit more sweet, and while Classic Simple Syrup works, we wanted something that would add sweetness and layers of flavor. We recently had been given a sample of La Quintinye Vermouth Royal Blanc to try out, we thought its flavors of grapefruit, herbs and hay and a woody note that punched up some of the barrels used to age the Irish whiskey. 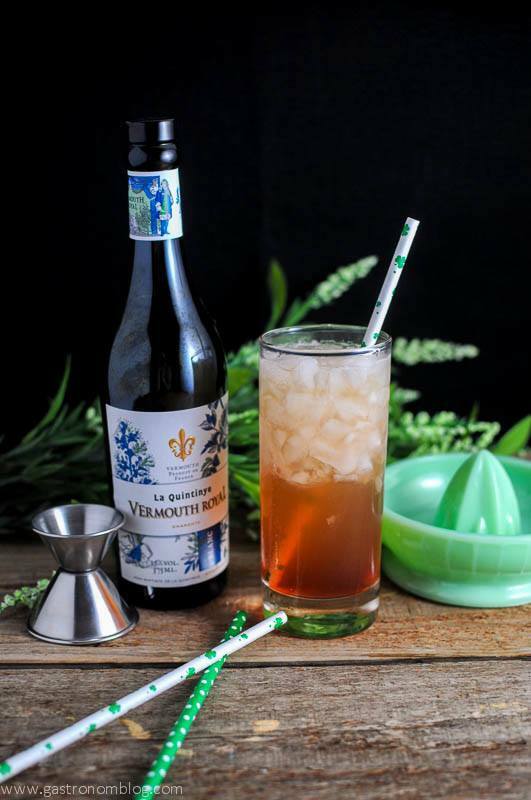 La Quintinye Vermouth Royal Blanc is a French vermouth, blending fine wines and Pineau des Charentes (a French aperitif fortified wine) from the Cognac region of France. 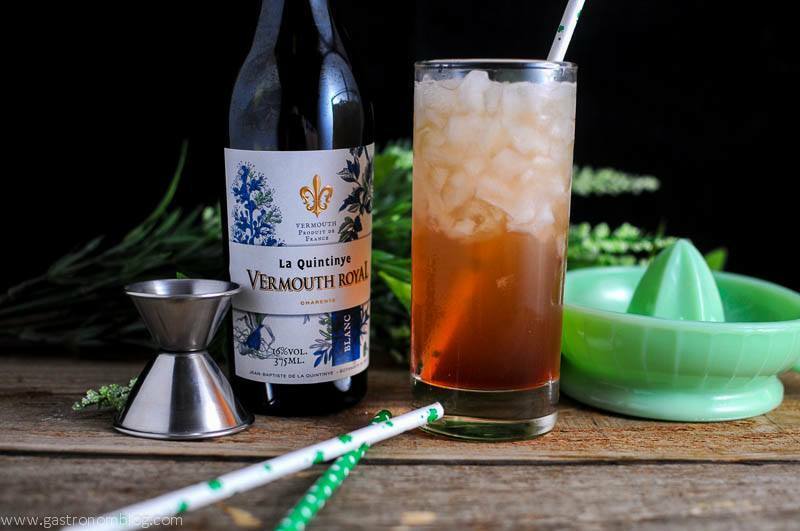 The vermouth has a beautiful aromatic perfume that complimented the flavors in the Irish Sour and made the drink come alive. La Quintinye Vermouth Royal Blanc can be found nationally at Nothing Less Than The Best, From Napa And Beyond. 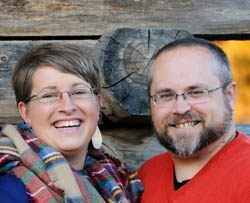 Shop Bountyhunterwine.com! . If you want another Irish cocktail perfect for St. Patrick’s Day, try our Toasted Cream Irish Coffee! A great alternative to green beer for St. Patrick's Day, this Irish Sour is sure to make your whiskey dreams come true. 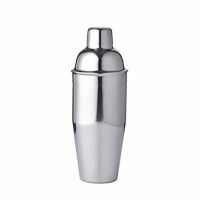 Place the whiskey, vermouth, Luxardo, citrus juices and bitters in a shaker with ice. 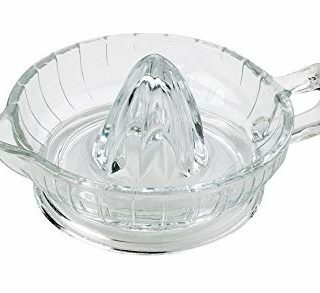 Add ice to a Collins glass allowing the glass to chill. Add the dash of club soda. 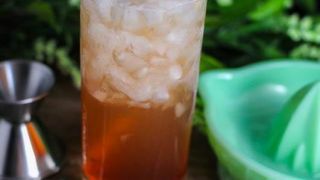 PIN THIS IRISH SOUR RECIPE FOR LATER! Thanks, we thought it was a great combo of flavors! My hubby is a Whisky Sour aficionado. Lately we have been using a little blood orange, and bitters and palm sugar to change it up a little. So good (so he says.) 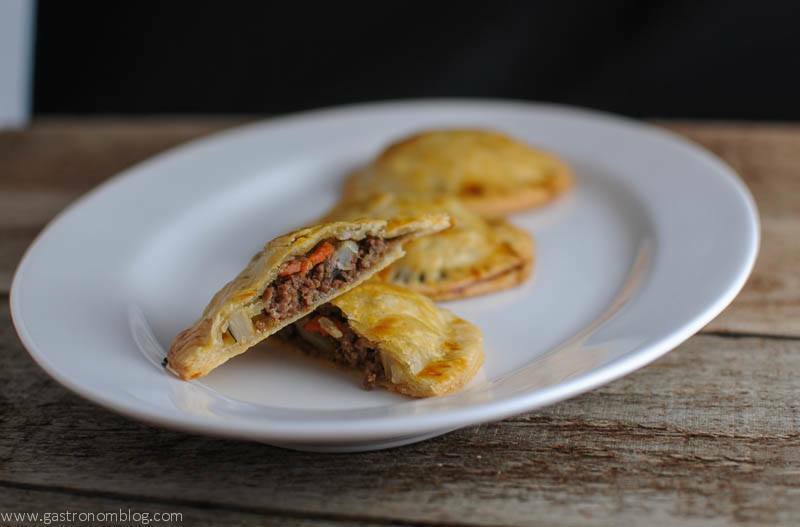 Thanks for sharing this recipe we will add to the line up! That sounds like a wonderful combo in a drink, too! Nice! Cheers! I love a good whisky sour, and this Irish sour looks perfect for St Patrick’s Day! 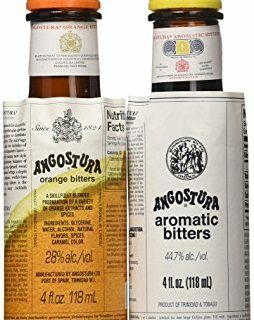 Love the use of orange bitters in this. Thanks! We thought it was a great combo! Enjoy! Now THAT’S sounds like a tasty drink! 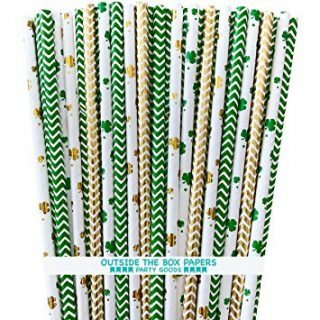 Give me one of those instead of a green beer anytime! Oh yum! This would be perfect for this weekend’s celebrations in Dallas! Thanks! Hope you enjoy! Cheers! I’ll have to make this soon! Thanks for the recipe! Can’t wait to try it.